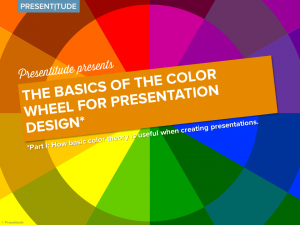 A PowerPoint color theme consists of 10 colors; four text and background colors and six accent colors. The colors should really be used as intended – don’t define accent colors as the first four text/background colors and make sure you have six distinctive colors as your access colors. The order of the 10 colors is important. The order of the text and background colors defines what color will be used as the default text color and default background. Light 1 and Light 2 should always be light colors and Dark 1 and Dark 2 should always be dark colors. The text and background colors also define the automatic background styles available in PowerPoint. Good practice is to keep white and black among the first four text and background colors. 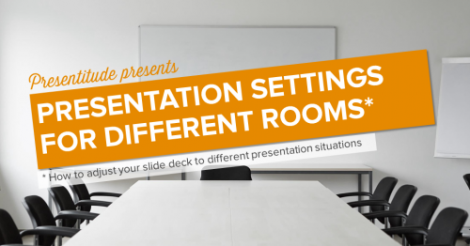 You will most likely need to use white or black at one point when creating your PowerPoint, so keeping them handy is a smart move. If another color than black is defined as a default color (maybe you are using a dark gray or a significant brand color as your text color (Dark 1)), make black the Dark 2 color to keep it accessible. 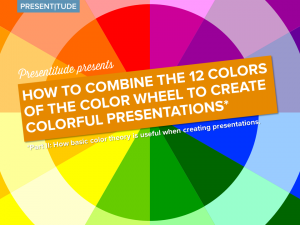 The order in which you add accent colors to the color template is equally important. The order they are added is the order in which PowerPoint will automatically use them in charts and smart arts. Most organizations set their main brand color as the Accent 1 color. However, when you use SmartArt, for some reason the Accent 1 color is not used. So if you do a lot of SmartArt and want the main brand color to be used, avoid setting it to Accent 1. Custom shapes and lines are automatically using the Accent 1 color. You can however change this if you don’t want to overuse your Accent 1 color. 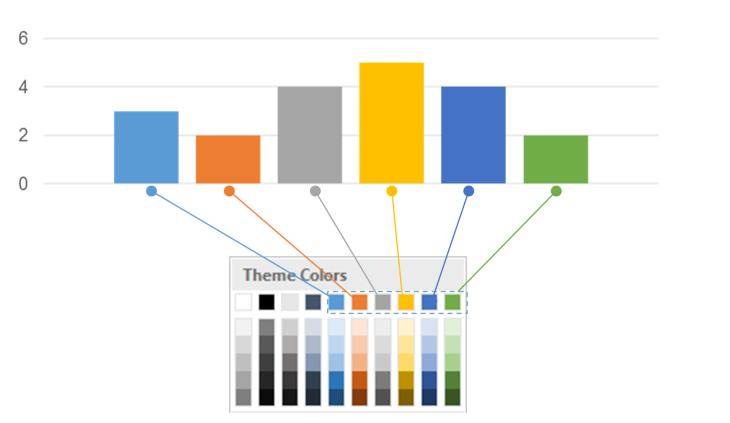 If you need more than six accent colors you can add custom colors to your color theme by adding them to the xml code or using an add-in (this book is a great resource on how to add custom colors to PowerPoint). 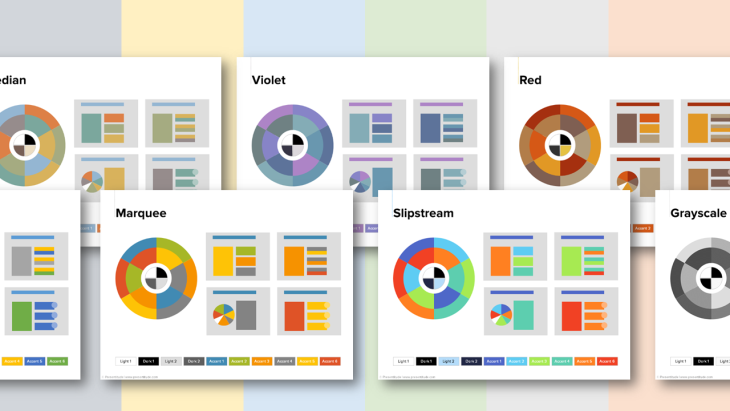 PowerPoint automatically generates tints and shades for the 10 colors. You cannot control how the tints or shades are defined, but you can adjust them by using the HSL color settings to alter the RGB code (this is a link to a great article on how to do this). Sometimes the automatically generated tints (color + white) can be too “neonish”. Once you have your colors you need to define them as theme colors. You need your four text and background colors and six accent colors. You also need to define the colors for hyperlinks and visited hyperlinks. Your color theme is now saved as a custom color theme (an .xml file) locally on your computer. 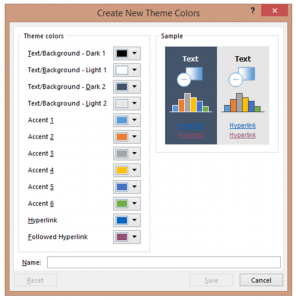 It will be available in the colors menu as a custom color theme throughout Office (PowerPoint, Word and Excel) and you can apply this color theme whenever your want. The colors will “travel” with your file, so anyone opening it will see the colors you defined. 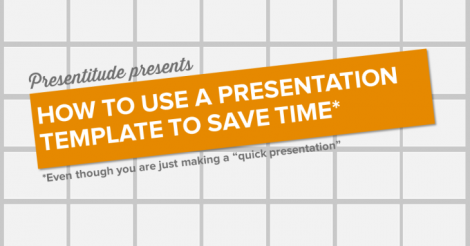 If you save your PowerPoint as a theme/template, the color theme be saved with the theme/template as well. 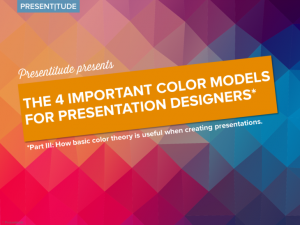 You can add custom colors to a color theme (contact Presentitude if you want help with adding custom colors)- but if you quickly want to use more accent colors, here are four quick ways to use your six accent colors in multiple ways. 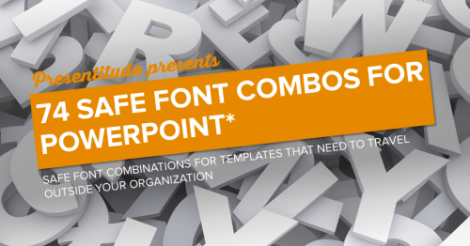 PowerPoint can only handle RGB codes (and HSL codes, but those are not as widely used when it comes to defining hues). If your brandbook defines colors as CMYK or if your web guidelines use HEX, you need to convert them to RGB. There are multiple services online that can help you with this – just Google.